A weekly forum open to all researchers that aims to keep abreast of important literature relating to genetic epidemiology, including genetics, molecular biology, statistical genetics and clinical papers. This is an annual meeting for researchers and clinicians interested in the field of the human microbiome. This event aims to provide a broad overview of both research and methodology within this field. A weekly meeting discussing the literature on genetic and epigenetic regulation of gene expression covering a wide range of important regulatory topics and associated statistical analysis methods. This meeting held six-monthly and is for researchers interested in epigenetics. This journal club meets weekly on Fridays at ~3pm, in the Department of Medical and Molecular Genetics (MMG) or at the Institute of Psychiatry (IoP). Meetings have a monthly pattern covering journal papers in twin research (week 1 – IoP), training in software packages for analysing genetic data (week 2 – IoP), and statistical genetics journal papers (weeks 4, 5 – MMG). Week 3 is a closed meeting for members of the Statistical Genetics Unit. This monthly meeting is for researchers interested in the genetics of complex diseases and next generation sequencing, covering molecular, statistical, bioinformatic and clinical aspects of the research area. Meetings take place from 11-12.30 on the first Friday of each month, in the seminar room on the 16th Floor, Tower Wing, and comprise two talks, usually the presentation of a journal paper, and a research-in-progress talk. PhD students and postdocs are encouraged to present. Half day meetings held six-monthly, on various areas of statistical genetics and genetic epidemiology. Mike Weale organises the meetings, and the mailing list, which also circulates details of conferences, courses, and job opportunities. 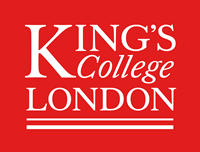 These half-day meetings are held every few months, with a mix of internal and external speakers, and involve researchers from all over KCL. Meetings are advertised through the BRCs and the Division mailing list.